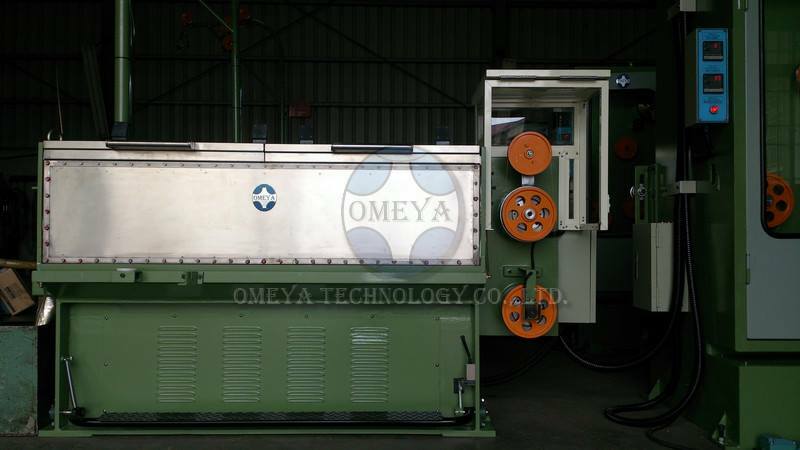 OMEYA Technology offers EDM Wire Drawing Machine for a range of EDM Wire (60% Cu + 40% Zn), Brass Wire and Copper Alloy. 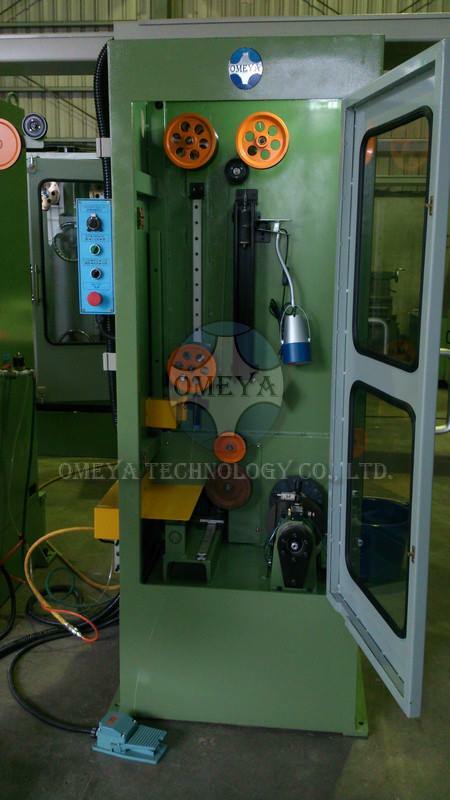 There are 4 sets Drawing Capstans (each on is with 10 grooves) are horizontally arranged in a row. There is a capstan at the output of drawing cabinet and it also works as a meter counter wheel. 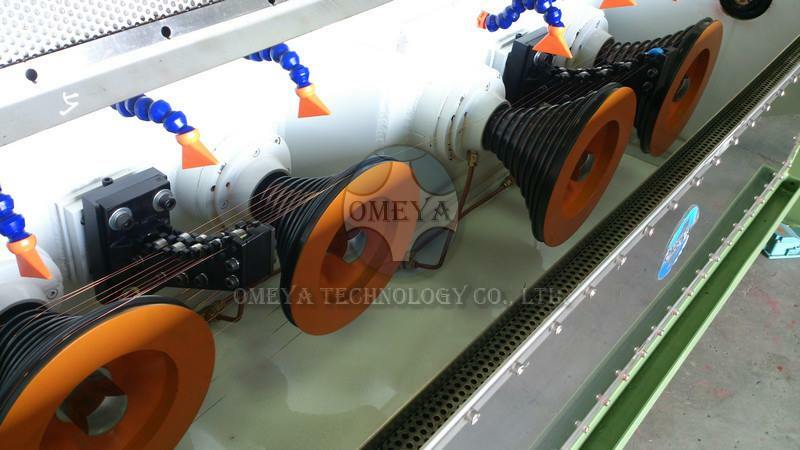 All of the Drawing Capstans are treated the ceramic coating on the surface for the purpose of wear resistance. 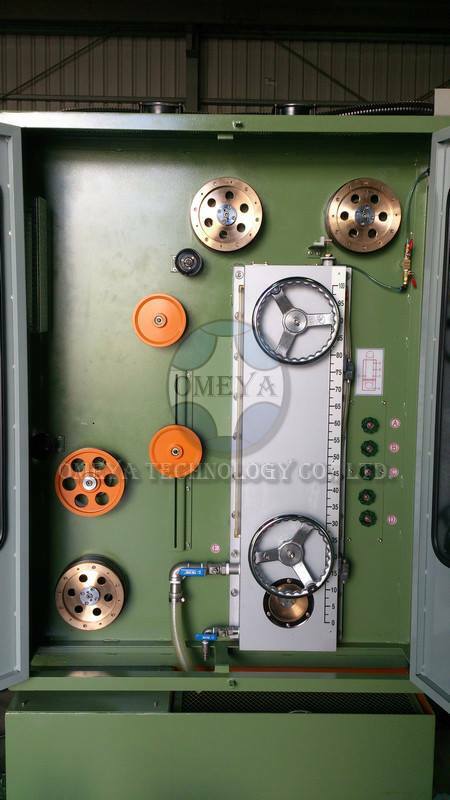 We design the control system with PLC + HMI that makes the annealing current varies from zero to a setting current with the line speed in synchronization.